The weird thing about such a device is that it keeps the background noise out very easily, and one does allow other noise to get in. The noise is called music :-). I wonder why that kind of noise does allow you to work, whereas the same music through the loudspeakers of a PA system in the neighbors garage would not have a similar relaxing effect. There are two main reasons for that. First there is the volume of the bass, in comparison to the rest of the music. A PA system is often controlled by a DJ who loves the bass – and that’s why that same DJ will also put on music with a heavy bass – that might create a great beat for dancing, but it is not favorable for working. The second reason is control. If I do not like a certain song, or I want it to be more silent, it is easy to control the right settings. That’s also what makes such a bluetooth device so desirable. 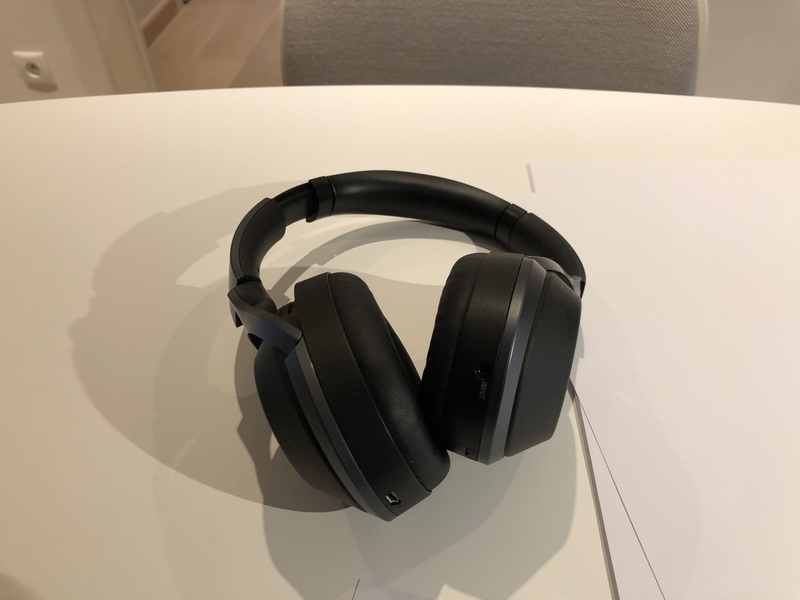 It’s a touch-sensitive device that allows me to “touch-control” the volume and the forward/backward movements of the music, by rubbing at my right ear. Cool, isn’t it.